Are you a young artist, fashion designer or photographer? Do you find the narrow corridor of opportunity in daily life stifling, but haven't had the time to look outside of it? Let Arterritory.com show you the way with our guide to the largest art competitions and awards, both in the Baltic States and the world – our objective is to see new faces finding success on the global art scene. To be as helpful as possible, we've supplemented factual information on the awards with comments and advice from previous years' winners. Every spring, the French southern city of Hyères hosts its own international festival on fashion and photography, paying special attention to young and promising artists. Various exhibitions, panel discussions and two main competitions take place over the four days of the festival. Designers present their collections to the public, while a high-ranking committee of judges selects the winners. As previous years indicate, many of the biggest names on today's fashion scene were discovered precisely in Hyères -- Viktor & Rolf, Gaspard Yurkievich, Sébastien Meunier, Richard René, Jean-Paul Lespagnard and Matthew Cunnington, to name a few. In addition to the prestige of taking part in such a competition, the 15-thousand-euro prize also helps give a push in the right direction. The Hyères Festival defends and praises those works that strive to be meaningful, peculiar, innovative, and that don't compromise artistic standards. On the panel of judges there art dealers, museum curators, art critics, magazine art directors, and representatives from advertising agencies. The festival maintains a close relationship with the industry, and leading fashion businesses sponsor the events and awards, which is a clear indication of their interest in forging new talent. In an effort to quicken the heartbeat of potential applicants, we'll list just a few of the big names to be found at Hyères: Martin Margiela, Helmut Lang, Jean-Paul Gaultier, John Galliano and Yohji Yamamoto. “First of all, the process of preparing our application required a significant investment of time and work. The higher the class of competition, the more difficult the set of requirements that must be fulfilled for acceptance. Once there, we were emotionally weary, but well-prepared and balanced, because we were motivated and had set our sights on one goal. It wasn't easy. You have to understand that everything depends on you. You must be ready to face strong competition and high standards, and be prepared to take responsibility. You must know how to present yourself even in the most unexpected of situations that are completely independent of your actions. You must be prepared that everything won't go as planned. At the Hyères competition, we had to work with high-level professionals that organize fashion shows at Paris' Fashion Week – with Raf Simons, Dior, and other fashion houses. We had to make a lot of decisions because we weren't responsible only for showing our clothes, but for the sound and lighting as well; we were asked about our preferences, and we had to answer quickly. This competition was very different from others that we had participated in previously – for instance, at Italy's ITS competition we weren't allowed to choose the models, to select the sound and lighting, nor even be backstage to dress the models before the show; this was quite a surprise that we hadn't been expecting. In participating at the Hyères competition, we were really on our own, and against everyone else. We stood out by being, first of all, from Latvia, and not letting that fact hinder us in any way; in fact, we indicated our pride at that. Most likely, the key to our success was our vision of fashion, and the fact that we didn't live in an illusory world. We were very assured of what we were doing. The most important thing was that we presented a global way of thinking with our collection. On the panel of judges were people from various artistic fields, such as Kris Van Assche (artistic director at Dior), Nan Goldin (artist), Zoe Cassavetes (film director and daughter of the famous director and actor John Cassavetes), Jeferson Hack (editor in chief of Another Magazine and founder of the fashion magazine Dazed and Confused), as well as the journalist Armand Limnander (T Magazine and The New York Times), among many others. MUUSE is an international fashion label that brings future trends into the wardrobes of everyone, and they do this by creating collections with design talent that they have garnered from around the world. Through cooperation with respected representatives from fashion capitals like Tokyo and London, a small number of new designers are selected and given the opportunity to create their collections under the wing of MUUSE, while still getting their own name printed on the label. MUUSE's PR, marketing and sales departments then work non-stop to advertise the winner's collection, and the designer's portfolio is published in the printed version of Vogue Italia. Semi-finalists must undergo a stringent review by Vogue Italia's senior fashion editor, Sara Maino; through the magic of internet voting, finalists are selected by anyone with an interest in fashion. “I'm very happy that I applied for the MUUSE x VOGUE Talents Young Vision Award because it was a wonderful experience and a great learning experience. Of course, competing in the world of fashion is a touchy thing; it cannot be precisely measured. One can say that a certain level of design has been reached; one can say that a work has been well executed, but who can say whether or not the design itself is good? It is so very dependent on personal taste... I was lucky that so many people really liked my collection. Many competitions are meant for students or new graduates, and that makes the situation harder. People expect that you are clear on what you are doing; but sometimes that's not easy if you're still in the development process. But on the other hand – it's a good thing because you can learn during the process of working through it. 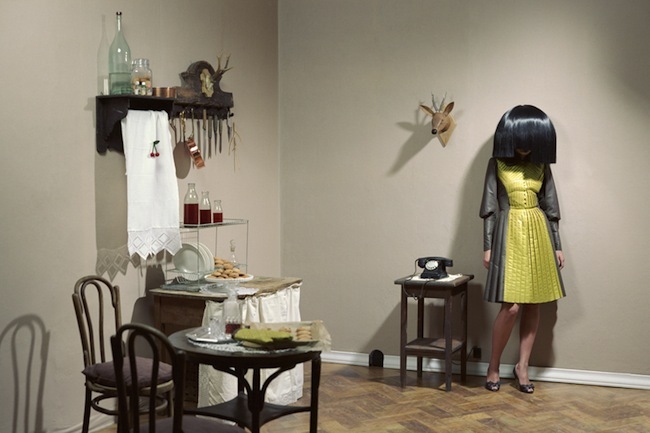 Estonian artist Marge Monko, who won the award in 2012, tells Arterritory.com that applying for the competition was simple – all she did was send in her portfolio, which was then evaluated by a panel of judges. She is currently enjoying the fruits of her victory – her solo show, “How to Wear Red”, is currently going on at MUMOK in Vienna. Monko premiered the show this summer at the Tartu Art Museum in Estonia. Read the express interview with Monko on her winning series here. The Young Painters Prize – which is open to painters age 30 and under who already have an art degree or are still studying, and who hail from one of the Baltic States of Lithuania, Latvia or Estonia – is celebrating its fifth anniversary this year. The aim of the project is to discover the brightest and most promising painters from the new generation, and to make their art available to the public at large. An advantageous side-effect is bringing these talented artists into the line of sight of collectors, managers and curators throughout the Baltic region. The age limit has been purposely set to give younger artists a chance. The main prize is 25000 euros and a two-month residency at the Nordic Artist Centre in Dale, Norway, with a monthly stipend of 8000 Norwegian kroner. The 2013 competition has closed. The main prize winner is Zane Tuča from Latvia. Two second prizes winners are Elo-Mai Mikelsaar from Estonia and Mykolė Ganusauskaitė from Lithuania. The application process for next year's competition will open in the summer of 2014. Follow along with all of the latest events on the prize's website, www.ypp.lt, and don't miss the starting date. 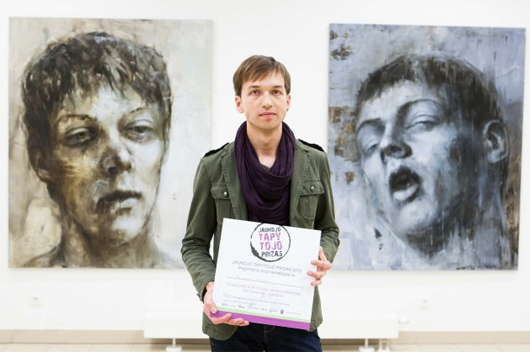 We asked Martynas Petreikis, winner of the 2012 prize, about his experience. “I knew of the Young Painters Prize since its start in 2009. I had watched from the sidelines how the project grew and quickly evolved. I was fascinated that the panel judges was made up of art critics, gallery directors and well-known artists, all hailing from several different countries. This fact gives an added sense of worth to the selection and evaluation of the submitted works. Taking part is very worthwhile in itself – it's an opportunity to be seen; it is a place of objectivity. It's a great first prize and a wonderful opportunity to create new contacts with other young artists, gallery owners and curators. I advise that before you send in your application, be very careful in which work you choose, and from which series it comes. You have to think about how the viewer and the panel of judges will perceive what it is that you're trying to say. It's important to choose a work that is viable for competing. This is the hardest part – you must be very self-critical because you can choose only one piece from everything that you have done, and it must be the one that reflects your creativity the best and that reveals a well-thought-out concept. This sort of preparation is useful for everyone. Starting with that moment, you begin to learn how to present your creativity to a wider audience. It was a critical learning experience for me to see how my works look in a gallery when set next to the works of other artists. Looking at your painting from the sidelines – that's an opportunity for self-analysis. Replacing The Cartier Award, the Emdash Award – for young artists living outside the UK – was established in London in 2011. This notable achievement has been underwritten by the Frieze Foundation, the same one that organizes the prestigious Frieze Art Fair. Artists are asked to submit a new work that has been created according to the competition's rules. Applicants may express themselves in a diverse range of artistic mediums, including performance art. Emdash Award applicants must be 35 or younger, and must be either studying, or have finished their studies no more than five years ago. The main prize is a three-month residency at the Gasworks art organization, which is based in southern London (and features 12 artist studios, exhibition programs, living quarters, international stipends and educational projects); up to 10,000 pounds for project expenses; and 1,000 pounds for the artist's personal use. Established in Kiev in 2009, the Future Generation Art Prize is the first contemporary art award for artists 35 and under that hail from anywhere in the world; its purpose is to discover, introduce and give long-term support to the “generation of the future”. Every two years, one artist receives the main award – a very respectable 100,000 US dollars; in addition, the panel of judges also selects a winner of a special award that consists of financial support to attend several residencies and other activities; this award can be worth up to 20 thousand dollars. Applications can be downloaded from www.futuregenerationartprize.org, and must be received between January 13, 2014 through April 12. In addition to the individual applications, 300 art experts (curators, artists, critics, and faculty at art academies) from around the world will nominate their own candidates. The winner of the 2012 award, and the second-ever person to have received it, was Lynette Yiadom-Boakye, a Ghana-born Londoner and painter; her substantial solo show is currently on view at the PinchukArtCentre (in Kiev, Ukraine). The fact that Lynette has also been a finalist for the UK's Turner Prize gives credence to the global recognizability of the Future Generation Art Award. The winner will be announced on December 2. Arterritory.com had a chance to talk to Christopher Holm-Hansen from Denmark, winner of both 3rd Prize and the Audience Award in 2012. 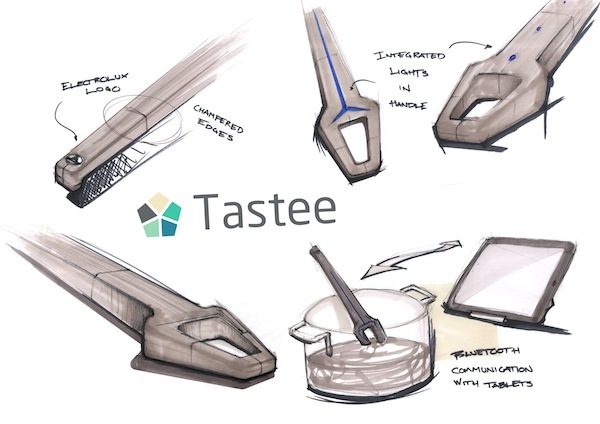 Christopher's concept was a flavor-indicator in the shape of a spoon – the device contained receptors, based on human taste buds, that indicated what ingredients were necessary to improve the food that was being prepared. In our conversation, Christopher said that he really enjoyed taking part in the Electrolux Design Lab competition: “It was a unique life experience that I will never forget. I met some really great people, I made valuable contacts, and I had the opportunity to present my concept and ideas to people who were truly interested. I think my idea was successful because the panel of judges and the audience liked the fact that I was trying to solve a problem that almost everyone understands and has experienced. An innovative solution to a problem that most people in the world come across is, in my opinion, the foundation of useful design. Every year, the directors of various Nordic design museums, and the chairman of the Söderberg Foundation's board of directors, select one artist or designer who they think is the best candidate for the prize. Each year's prize is given, on a rotational basis, to a person from one specific country – in 2012 it was Norway, in 2013 – Iceland, and next year it will be Finland. 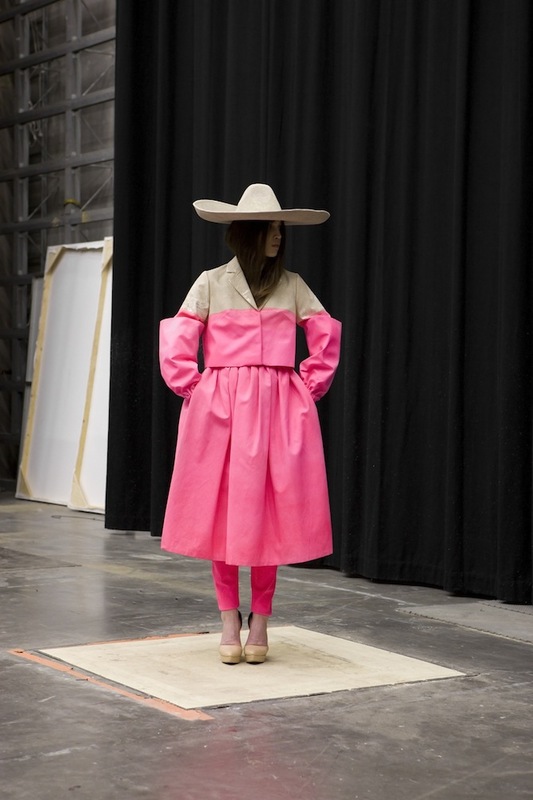 This year's unanimously-chosen winner was Iceland's Hjalti Karlsson, a graphic designer and artist. The award ceremony took place on November 4, in conjunction with the opening of Karlsson's solo show at the Rohsska Museum. A great way to keep up with the best names in Scandinavian fashion and design is to follow the list of previous Söderberg Prize winners.